With our SMS appointment reminder tool, one can confirm any upcoming appointment with ease. Responses from your clients, you’ll never miss another appointment. Send a simple message blast to your customer confirming their appointment. simple “C” to confirm or “M” to miss. 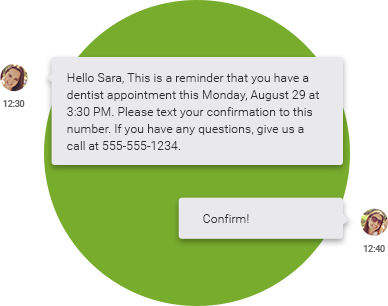 Each client will receive an SMS reminder prior to their upcoming appointment and be able to choose from options such as confirm, miss, behind schedule, or whatever the business owner chooses. This will easily ensure that your clients are coming in for their appointments. 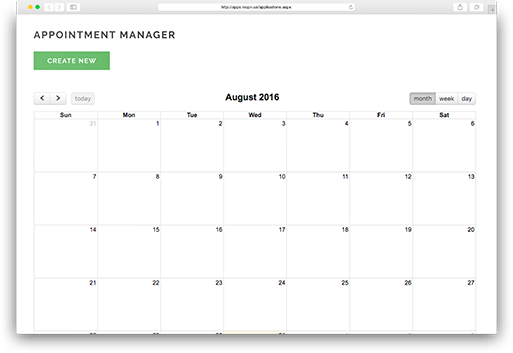 Our interface is set up in an easy to read calendar style which enables anyone and everyone to operate it with no trouble at all. After your client responds to their appointment reminder, an auto response of the business owner’s choosing can be sent to them immediately through our efficient feature to feature integration.